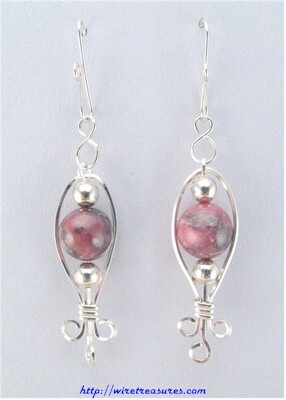 Pretty dangly earrings with one Rhodonite bead and two Sterling Silver beads. These will look great with pendant SSP039! You are visitor number 4,795 to this page.